TuscaloosaApartmentGuide.com has partnered with RoomSync®, empowering students to find off-campus or on-campus roommates and make their own roommate decisions using Facebook. Working with RoomSync gives our users the opportunity to choose their own roommate using the social media tool they are most comfortable with. RoomSync is an app on Facebook that leverages students’ wide use of Facebook in describing their likes and personalities. Facebook is usually the first place students go to evaluate their new roommates once they find a prospect, so why not start with Facebook. In fact, researchers from the University of Maryland found that people reveal their personality traits through their use of social media sites like Facebook. RoomSync replaces random matching, manual matching and other matching methods that don’t provide the whole picture of a student’s personality. 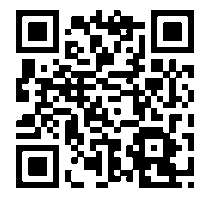 Tuscaloosa Apartment Guide believes that RoomSync offers the best way for students to find a compatible roommate. 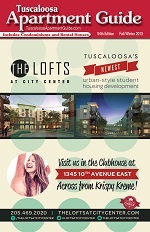 Students use social media to connect with each other on a daily basis and the Tuscaloosa Apartment Guide is the best tool to get students important information about off-campus housing options. 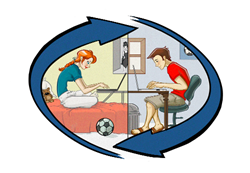 RoomSync with TuscaloosaApartmentGuide.com gives users an opportunity to connect through Facebook and find the perfect roommate. Tuscaloosa Apartment Guide users will be able to choose their own roommate based on many different criteria like lifestyle preferences, majors, housing preferences, hometown, high school, mutual Facebook friends and listed Facebook interests. This gives students the clearest picture of each other’s personalities and empowers them to choose who they want to live with based on the criteria most important to them, as well as where to live. Empowering roommates to self-match through TuscaloosaApartmentGuide.com and RoomSync lessens the chances of roommate conflicts upfront, before they sign a lease. Studies have shown that happier roommates also reduce the likelihood of dropping out of college.